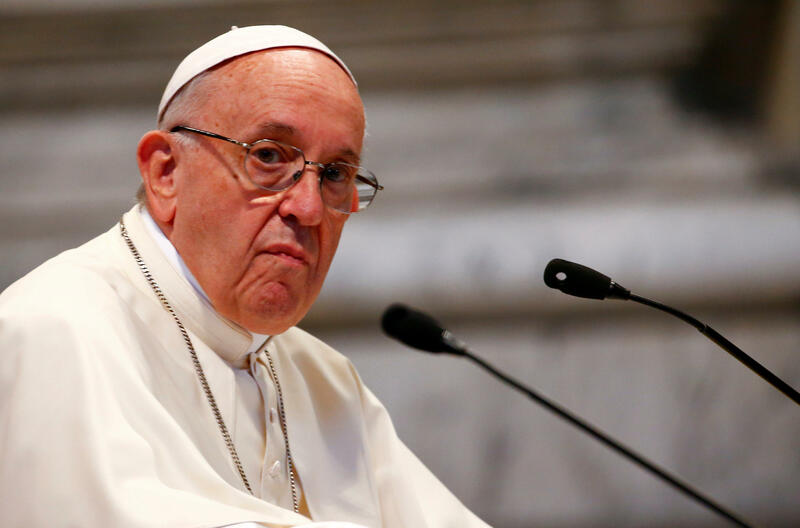 Pope Francis thinks border family separations are "immoral"
Pope Francis has endorsed statements by U.S. Catholic leaders who called the Trump administration's "zero tolerance" policy on illegal border crossings "immoral" and contrary to the values of the church. The policy being enforced by U.S. law enforcement agencies on the orders of the Justice Department has led to the separation of children from their families and prompted a fierce backlash, including from members of Mr. Trump's own party. Speaking to the Reuters news agency at the Vatican, the pontiff said he supported statements by U.S. Catholic bishops who have called the family separations "contrary to our Catholic values" and "immoral." "It's not easy, but populism is not the solution," Francis said in the wide-ranging interview. Religious leaders in the U.S., including Catholic bishops, have spoken out against the harsh measures, which aim to have all adults who cross the border illegally prosecuted without delay. President Trump has repeatedly blamed Democrats in Congress for creating the crisis by refusing to back legislation to reform U.S. laws on immigration. Democrats, some Republicans, and a rising chorus of world and religious leaders have decried the practice amid a flurry of images of young migrants held in fenced-in pens, and audio purportedly of children crying as they are held apart from their loved ones. Trump's opponents say he could immediately halt the practice with an order to the Justice Department. "I am on the side of the bishops' conference," Francis told Reuters. "Let it be clear that in these things, I respect (the position of) the bishops conference." Francis told the news agency that populists were "creating psychosis" over the issue of immigration. He said Europe, which has a rapidly aging population, was facing "a great demographic winter," and desperately needs more immigrants to keep economies viable. Without immigration Europe "will become empty," the Catholic leader said. "I believe that you cannot reject people who arrive. You have to receive them, help them, look after them, accompany them and then see where to put them, but throughout all of Europe," Francis said, addressing the migration crisis which has pitted some European nations against each other. "Some governments are working on it, and people have to be settled in the best possible way, but creating psychosis is not the cure," he said. "Populism does not resolve things. What resolves things is acceptance, study, prudence."